The Naval Academy is often recognized for its stellar athletics and academics, but this time the academy is in the news because of one female mid. 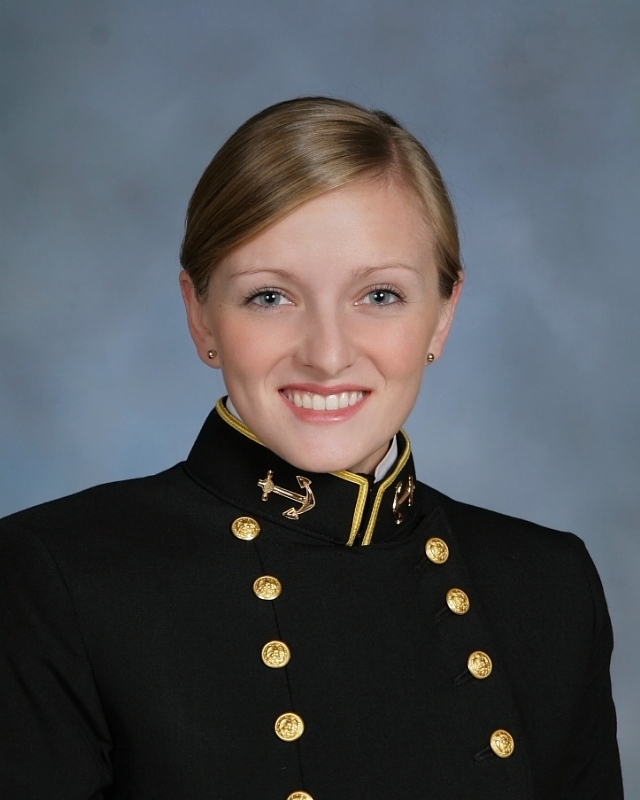 Midshipman 2nd Class Margaret Gilroy was named one of the top 10 college women across the country by Glamour magazine. She is the only woman in the top 10 from a service academy. The 21-year-old serves as the brigade training sergeant and oversees the professional knowledge program, an entry-level training program for freshman to teach them about Navy concepts they’ll use at the academy and in the fleet, a spokeswoman from the academy said. In addition, she is the captain of the women’s marathon team at the academy and finds time to run up to 20 miles a day. To enter Glamour’s 2013 competition, applicants had to submit their grade-point average, major, and a list of extracurriculars and awards. Two letters of recommendation, an explanation of future plans and an essay on what is most meaningful to you were also required, the website said. Gilroy is only at the beginning of her career. After graduating in May 2014, the systems engineering major hopes to be among the first women to serve on submarines and to finish 100 marathons in her lifetime, Glamour reported. Update: Gilroy has not yet service selected submarines, though she hopes to go into that community. Midshipmen at the academy pick their service assignments during their senior year. Copyright © Scoopdeck. All Rights Reserved.